Designer Apple Coral Jewelry Making Beading Supplies and Florida Fossil Coral Components for your Unique Creations! Various selections of Designer Bead Strands including Heishi, Rounds, Graduated Disk, Graduated Heishi, and Graduated Barrel Rondelle Mix that offers tremendous design opportunity. 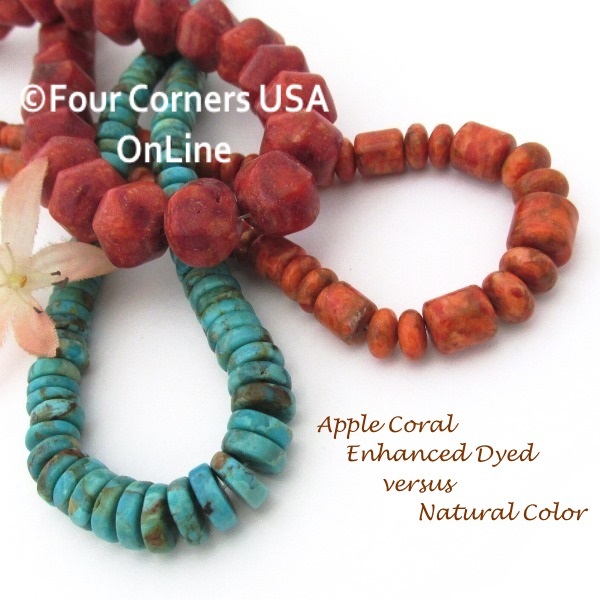 Our Apple Coral Bead Strands are a natural color, no dye and is a perfect compliment to your Southwestern Design Jewelry coordinating with various colors of Spiny Oyster Shell and perfect compliment to our Arizona Kingman Turquoise Beads.